Above: A selection of Queensland, Cuban, and Javanese sugar cane railway (tramway) models. Items listed here may also be linked from other pages within this web site, but this is the primary link to most of CaneSIG's resources. Items are NOT always cross-indexed, and my idea of an index term may not be yours, so look for alternate terms if you don't find something immediately. Items directly linked from this page may open into a new window without navigation tools. Please close the new window after viewing to return to this page. The Image Collection extends this list in almost every category. Use simple search terms and sort through the results for photos, drawings, etc. There is, for example, a link on this page to a recent article on Java; using Java or Isugar as the search term will provide links to a number of Indonesian steam and diesel era photos. CaneSIG is a free resource for modellers of the world's sugar cane railways. Please contact the Coordinator if you have resources that you would like to share. Materials have been provided by modellers and enthusiasts for the personal use of other modellers only. Please do not abuse this privilege; contact the copyright holders for any other use. Site/content copyright © A C Lynn Zelmer or as marked. CaneSIG is one of the rail heritage and modelling sites hosted by ZelmerOz.com or QldRailHeritage.com. Link:	Angola: CE Rickwood's 1960s visit; Rickwood, CE (1967). 'Coconuts, Cane and Coffee', The Industrial Railway Record, 13: March, pp 20-25/33. Source: www.irsociety.co.uk/Archives/13/coconuts.htm, mirror copy downloaded 17 April 2009. 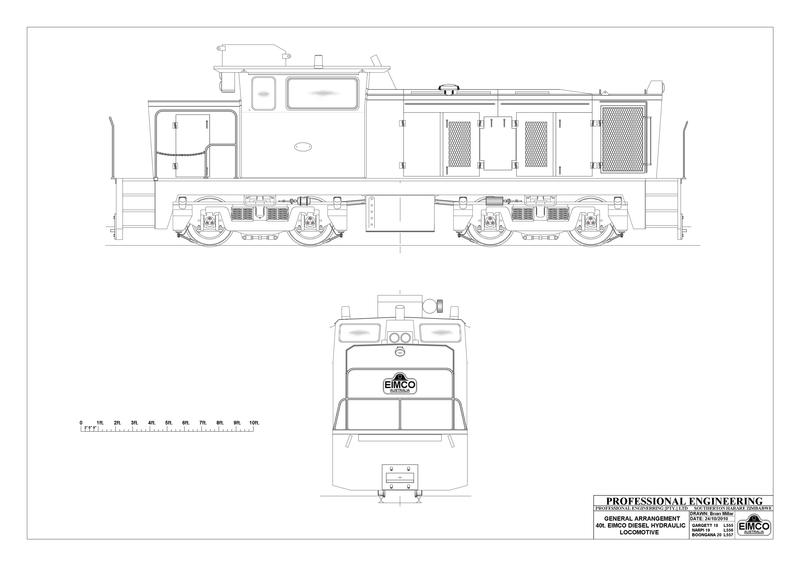 Link Australian Canefield Locomotives (c 2004 petrol & diesel): by manufacturer and mill, from Chris Walters' photos and notes (pdf file). Link: AMRM magazine article by Bob Dow (1997), scratchbuilding cane bins. Link: Austoft A8000 Cane Harvester, Case IH advertisement in Australian Sugarcane, December 2016. Link: Australian Sugar Industry, mill and locomotive lists, etc. Link: Australian Sugar Industry Locomotives (1978), (mill rosters, maps, etc. ): Browning, John & Mewes, David (1978). ANGRMS: Australian Narrow Gauge Railway Museum Society. Reproduced with permission (pdf file). Individual mill extracts available from the mill listings on the Sugar Industry page. Link: Australian Sugar Industry Locomotives: 1978 Locomotive drawings only: Browning, John & Mewes, David (1978). ANGRMS: Australian Narrow Gauge Railway Museum Society. Reproduced with permission (pdf file). Individual mill extracts available from the mill listings on the Sugar Industry page. Link: Australian Sugar Industry Locomotives: 1978 Mill maps only: Browning, John & Mewes, David (1978). ANGRMS: Australian Narrow Gauge Railway Museum Society. Reproduced with permission (pdf file). Individual mill extracts available from the mill listings on the Sugar Industry page. Link: Australian Sugar Industry Locomotives (2005): Browning, John (2005). LRRSA: Light Railway Research Society of Australia. Reproduced with permission (pdf file). Individual mill lists (html) available from the mill listings on the Sugar Industry page. Link: Beets, Sugar in Voie Libre International #85, prototype and model information. Link: Interpretive brochure on Betteravia (California), the Sugar Mill and the Railroad; from Friends of the Santa Maria Valley Railroad [pdf file]. Link: Buildings, Queensland, a selection of Jim Fainges' pencil drawings/sketches from The Turntable newsletter (808 Kb pdf file); or the full set (6.3 Mb pdf file). Link: Buildings, Queensland, photos and other details of Queensland's [sometimes] unique hotels, home, commercial buildings, railway structures, etc. Primarily Lynn Zelmer's photos, etc. Link: Cane Harvester, Austoft A8000, Case IH advertisement in Australian Sugarcane, December 2016. Link: Capricorn Sugar Rail Museum, the Coordinator's On30 micro-layout based on the premise that sugar production survived in the Capricornia Region into the 21st Century. Link: Card Model Kits [Clever], Kitbashing, #38 in the Basic Handbook Series. Link:	Coconuts, Cane and Coffee: CE Rickwood's 1960s visit to Angola; Rickwood, CE (1967). 'Coconuts, Cane and Coffee', The Industrial Railway Record, 13: March, pp 20-25/33. Source: www.irsociety.co.uk/Archives/13/coconuts.htm, mirror copy downloaded 17 April 2009. 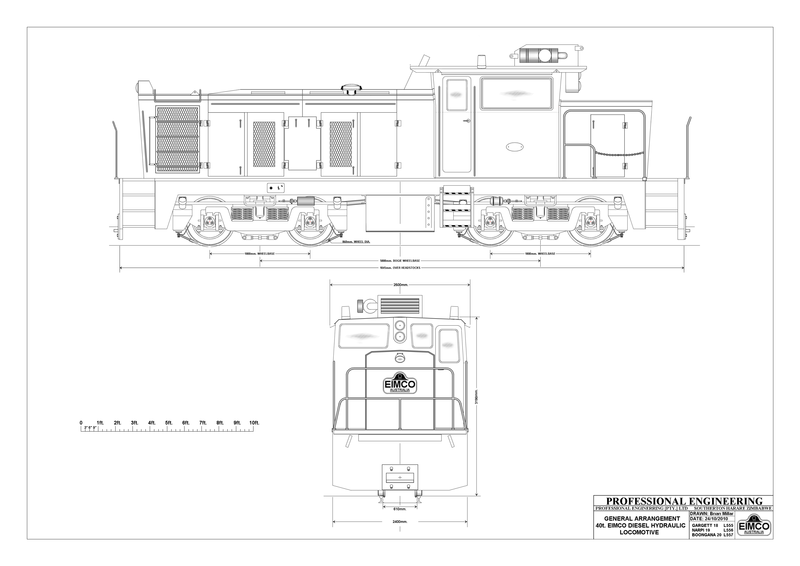 Eimco 40t B-B DH locomotive drawings (1:48 scale): left side and rear, right side and front). Also notes for accurately printing the drawings. Link: Fiji, Sugar in: interpretive brochure c 1963 from SPSM, Fiji. Link: Fijian On30 Cane Tram (Lomo Lomo). Steve Pettit's exhibition layout, #37 in the Basic Handbook series. Link: Image Collection: over 11,000 photos, drawings, etc. Link: Java (Indonesia): Browning, John (2012). 'Diesels in the canefields - Java', in Light Railways, 228, December 2012, pp17-19. Link: Kitbashing Card Model Kits [Clever], #38 in the Basic Handbook Series. Link Offsite: Lautoka and area (Fiji) photos (over 500 including sugar mill, cane tram and harvesting), Dave Robinson photographer, 2005. Site still active March 2016. Link: Locomotives, Australian Sugar Industry (mill rosters, maps, etc. ): Browning, John & Mewes, David (1978). ANGRMS: Australian Narrow Gauge Railway Museum Society. Reproduced with permission (pdf file). Individual mill extracts available from the mill listings on the Sugar Industry page. Link: Louisiana cane railway layout in N scale; Model Railroader article of December 1972 explains industry at that time. Link Louisiana Sugar Industry: American Sugar Cane League brochure. Link: Modelling Cane Railways, 4 page handout for the 2003 PNR 'Tunnel' Convention, Eugene, Oregon. Link: Modelling in 7mm scale - Queensland sugar tramways: Malone, Chris (1990), in Continental Modeller (2 pgs pdf file)..
Link: Modelling Queensland Cane Locos In HO Scale: Greg Stephenson's list of model types and suppliers/sources (Handbook 34, pdf file). Link: Moreton Sugar Mill mill history and rail operations plus modelling ideas from AMRA Journal 235-237 by Steve Malone. Includes mill map. Link: New South Wales sugar history: Sugar section of Chapter 5 extracted from Boileau, Joanna (2004). Tweed Shire Council: Community Based Heritage Study - Thematic History (26 pgs pdf file). Link: Overseas Sugar Industry, general overview and resources. Link Offsite: Preserved Australian sugar cane locomotives: John Browning maintains an online list of preserved Australian sugar cane locomotives for the Light Railway Research Society of Australia (LRRSA). Link: Queensland Buildings, a selection of Jim Fainges' pencil drawings/sketches from The Turntable newsletter (808 Kb pdf file); or the full set (6.3 Mb pdf file). Link: Queensland Buildings, photos and other details of Queensland's [sometimes] unique hotels, home, commercial buildings, railway structures, etc. Primarily Lynn Zelmer's photos, etc. Link: Queensland's sugar tramways - fascinating prototype: Basic introduction to mill tramways, Continental Modeller article by Chris Malone, nd. .
Link: Queensland's uniqueness (slide shows, individual photos and illustrated notes). Link: Radio Control modelling tips from garden railway modeller Jim Petropulos (56 K pdf file). Link: Structures, Queensland, a selection of Jim Fainges' pencil drawings/sketches from The Turntable newsletter (808 Kb pdf file); or the full set (6.3 Mb pdf file). Link: Structures, Queensland, photos and other details of Queensland's [sometimes] unique hotels, home, commercial buildings, railway structures, etc. Primarily Lynn Zelmer's photos, etc. Link: Sugar Beets in Voie Libre International #85, prototype and model information. Link: Sugar History, New South Wales: Sugar section of Chapter 5 extracted from Boileau, Joanna (2004). Tweed Shire Council: Community Based Heritage Study - Thematic History (26 pgs pdf file). Link: Sugar in Fiji: interpretive brochure c 1963 from SPSM, Fiji. Link: Uniquely Queensland (slide shows, individual photos and illustrated notes). Link: US Sugar, Clewiston Florida: Steven Chapman's overview of the refining process, production rates, etc. Link: Video Resources, selected listing from Youtube: Queensland railways and tramlines, sugar cane in Australia and overseas, narrow gauge. Link: WW I locomotives in Voie Libre International #85; 60cm military locomotive development, use and demobilisation (Felin Hen as example). Link: YouTube video listing: Queensland railways and tramlines, sugar cane in Australia and overseas, narrow gauge. last updated: 22 April 2018.